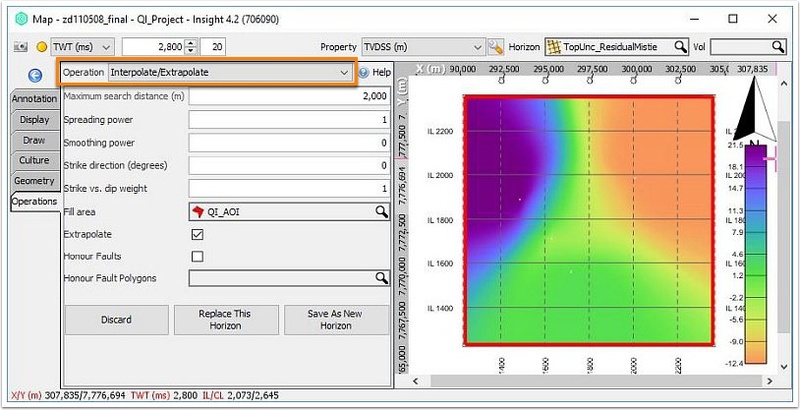 Use this workflow to determine the well marker and horizon intersection depths at a specified well marker location and use these to calculate a residual map. 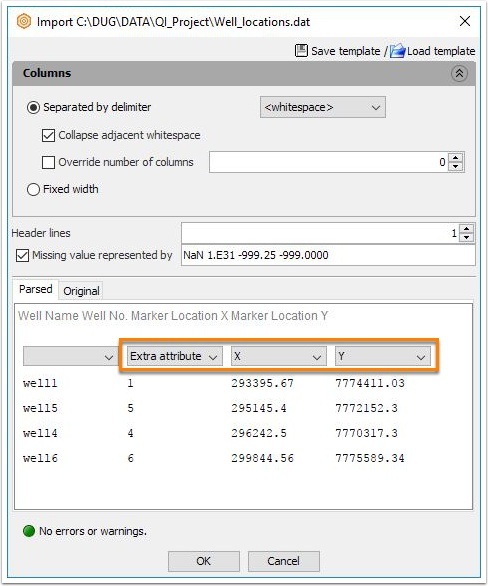 Open a text editor and create a column of well ID besides the well marker X/Y locations. 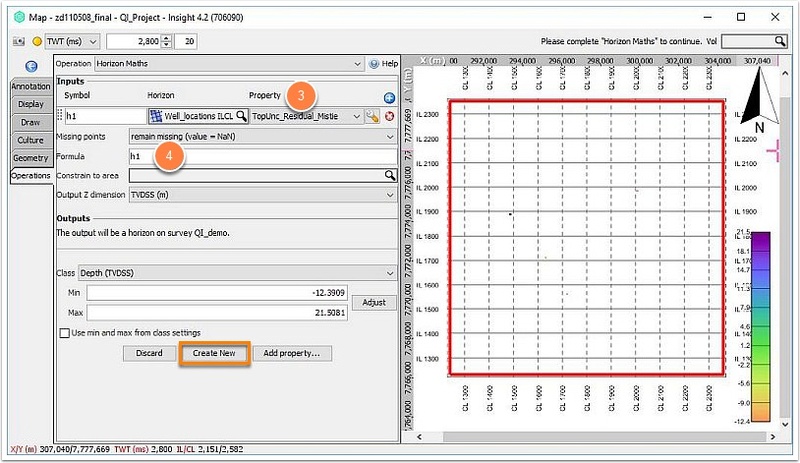 In the Import window, set the X,Y values in their respective columns. Save as a new horizon (ILCL). In the formula field, use: (h1*0)+h2. 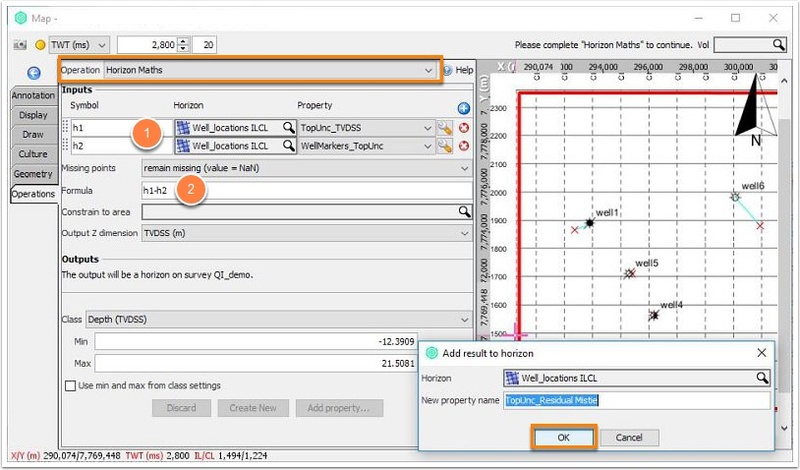 Click the Add property button, select the correct horizon and type a property name. 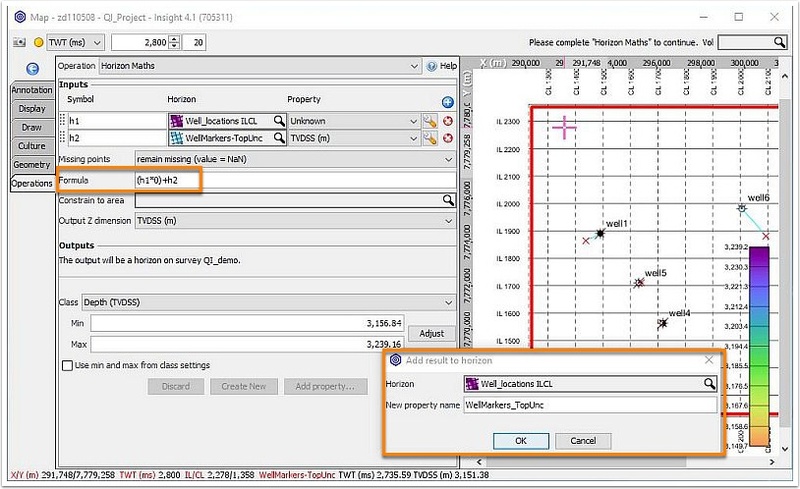 Enable the wells in the Control Panel > Wells tab. 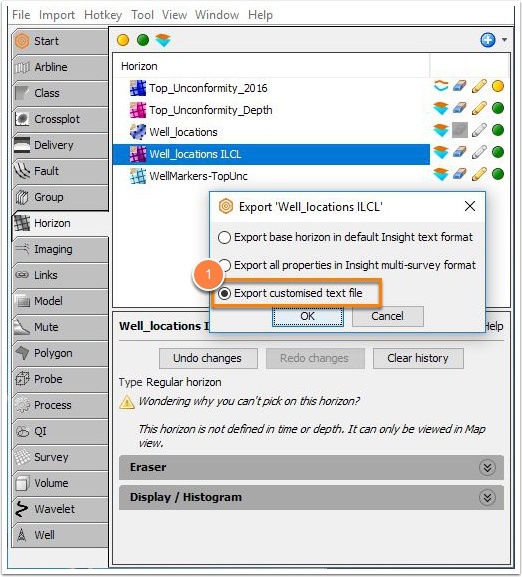 Click the Operations tab and select Create Horizon from Well Markers operation. 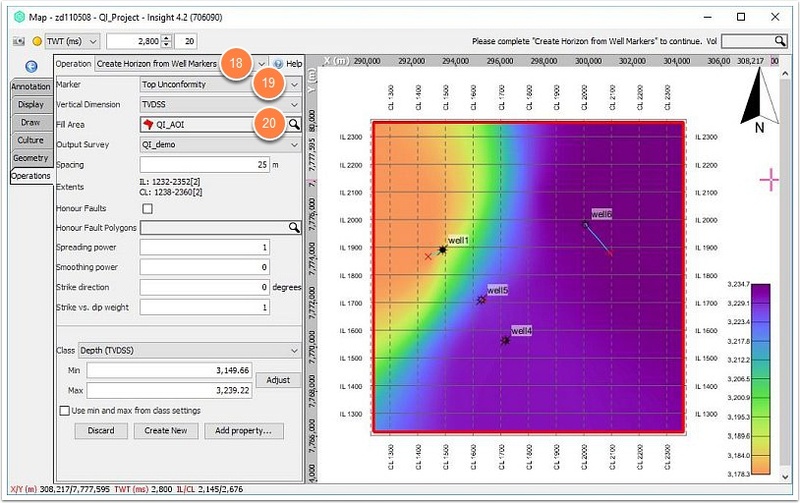 Select a polygon that includes the wells of interest. Click the Create New button, rename the horizon appropriately. 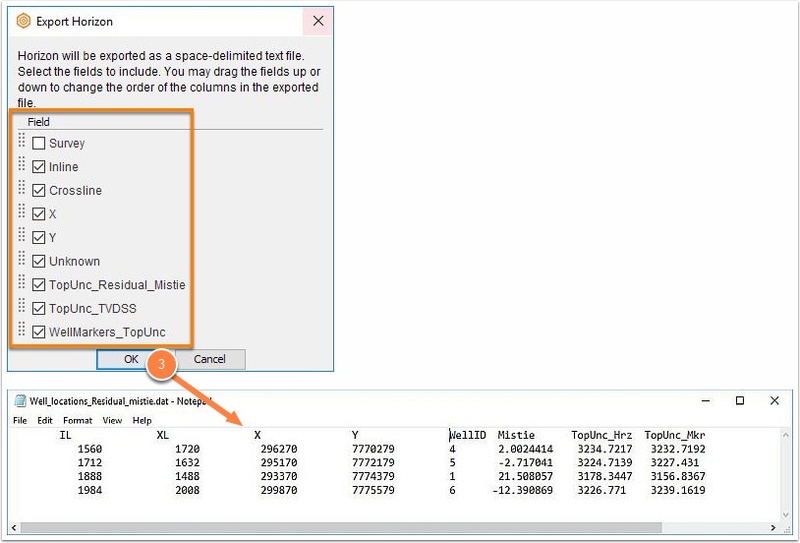 Export the horizon as a customise text file from the control panel (see export customised text file). Select all the attributes of interest. Click OK to export these attributes. Horizon regrid and interpolate / extrapolate operates on the fundamental values from the horizon. 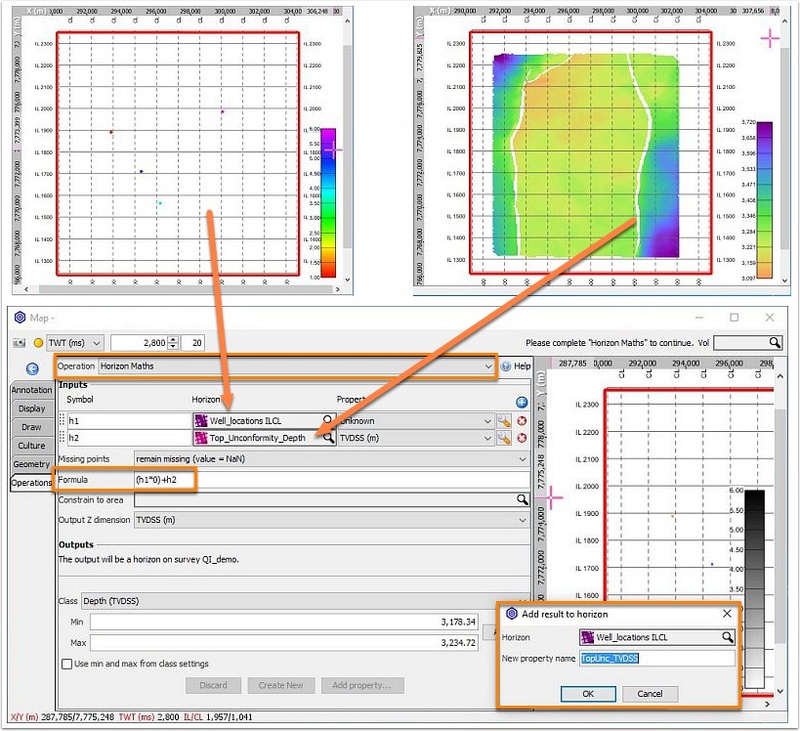 For a TWT horizon, they use the TWT values, a depth horizon will use TVD, and so on. Go to Map View > Operations > Horizon Math. Click the blue (+) and add your custom attribute horizon. Choose the Property to use (e.g. Residual Mistie). Use formula: h1 (or whatever symbol you've chosen). Click Create New to save as a new horizon. 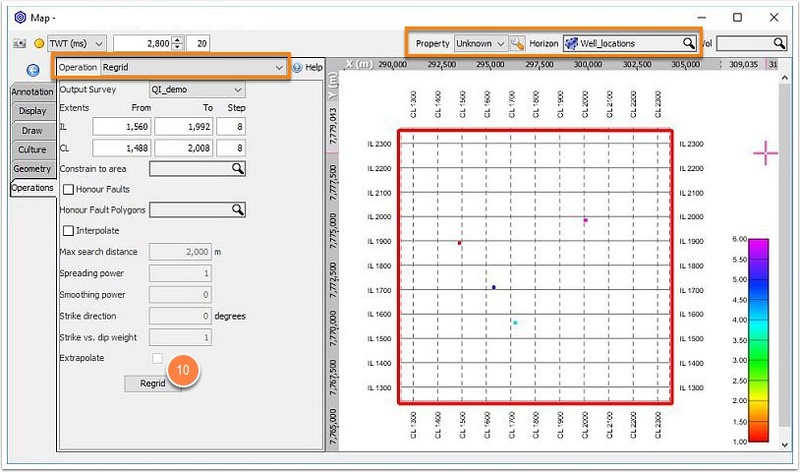 Select the new TVDSS horizon. Prev: How to export map values at specific IL/CL locations? Next: How do I find out the area and volume of a polygon?